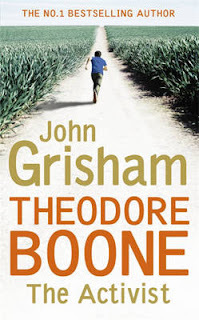 I've reviewed John Grisham's Theodore Boone: The Activist, the fourth in the series, over on my teen blog as part of crime writing month. It's a series featuring a kid lawyer but my experience at the library is that this series is reserved/read more by adults than teens. Thanks, Karen - This sounds like a good 'un.